This customer wanted to replace their old modified sine inverter with a new pure sine house pass-through inverter. 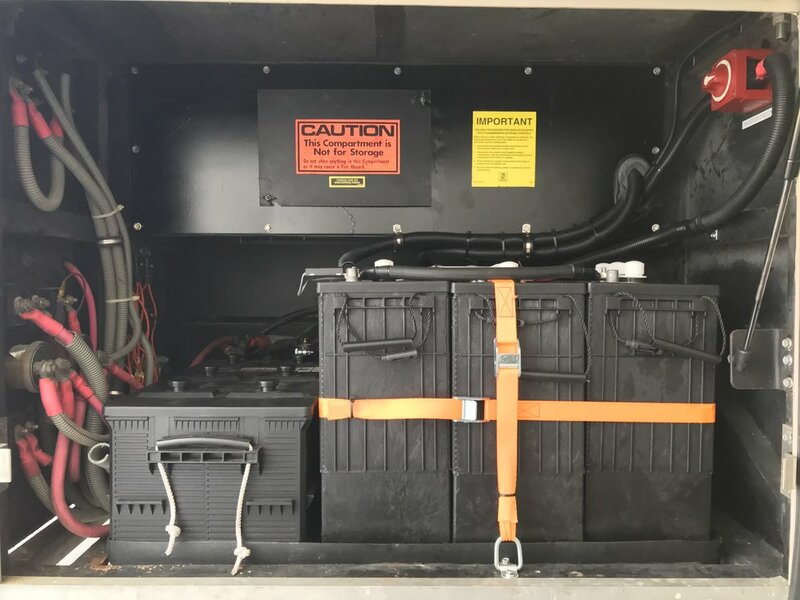 We removed the OE inverter and replaced with a Magnum MSH3012 Hybrid pass-through inverter, RC-50 Magnum remote and Victron BMV-712 Smart Battery Monitor. We also upgraded the OE batteries with 4x Crown 6CRP525 395ah 6V wet cell batteries and added anchor and strap provisions to hold them in place.